Home Arts	Why is television important right now? Why is television important right now? When compared to films and novels, it’s easy to look at television as the lesser medium of storytelling. Yet, Pulitzer Prize-winning television critic Emily Nussbaum argued for the importance of television due to its longevity and ability to connect with audiences in ways that movies and books can’t. 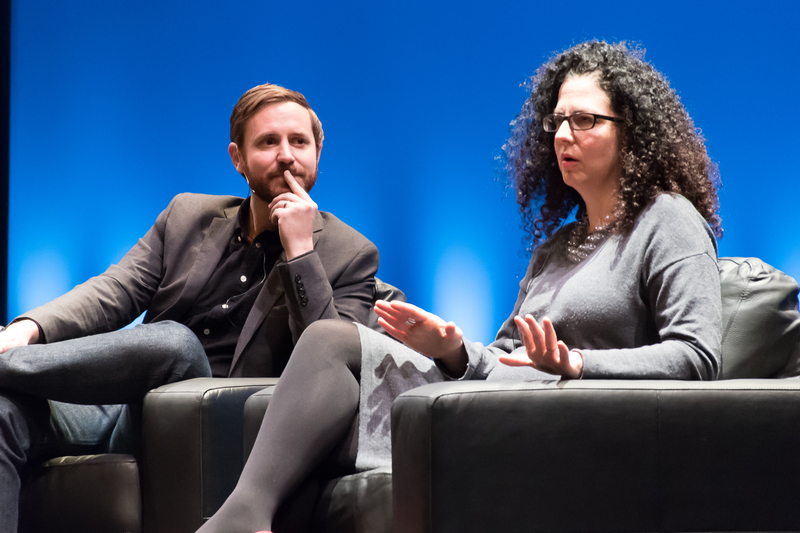 Nussbaum took part in the “Future Small Screen – Talking Television” conference, Concordia’s second Thinking Out Loud event of the year held in collaboration with the Globe and Mail. The conference, held at Concordia’s D.B. Clarke Theatre, also featured Concordia media professor Joshua Neves, who had a completely different view of the subject. Rather than looking at television as an art form, Neves focused on the ways television is used as a medium and how those methods reflect society. “I’m interested in how television is used in other media, like in art galleries and museums or in films when someone is watching TV or a film—the idea of a box within a box,” Neves said. It’s impossible to talk about the importance of television today without mentioning the emergence of streaming services, or the option to pause and rewind. These new additions have not only changed the way people watch TV but they have also changed the way TV shows are made, according to Nussbaum. “TV is not the underdog anymore,” said Nussbaum. “It began as a mass-commercial form where everyone would sit around the TV with your family, and you consumed what was on the screen and then you forgot about it afterwards. Now, TV series are stories that are really happening.” While Nussbaum expressed her nostalgia for the television of her childhood—when everything was live and less cinematic—she acknowledged that, especially within the last five to seven years, there has been a significant change in television as a medium. Series are now made knowing that people will pause and rewind, whereas before they were made with the idea that they would be viewed live and only once. She added that it will continue to ebb and flow in the years to come. Moderator—and Globe and Mail podcaster—Hannah Sung’s final question for Nussbaum and Neves was how they would describe the current state of television in the history books years from now. “That’s if we make it through the next five years,” Nussbaum joked. She hesitated to answer the question, however, without bringing up the recent election of Donald Trump, who refuses to acknowledge climate change as a real issue. “[We] won’t get to describe television if we don’t make it through a global environmental crisis,” she said. Nussbaum’s comments garnered several laughs from the audience, but most just nodded in somber agreement. Nussbaum said the future will see more content creators star in their own shows, what she referred to as the “auteurist blend of creator and star” genre (see: Girls, Atlanta and the British dramedy Fleabag). The aforementioned loss being that when episodes are released on a weekly basis, the wait between episodes allows more time for audiences to digest and discuss them. When a show’s season is released in full, the viewing experience becomes more singular and less about the community-feel viewers get when watching, or live-tweeting together. Oscars predictions: Who will bring home the gold?